This is a Florida duo who recorded this excellent CD in Boston in 2001. They create melodic, dreamy, sometimes upbeat rock songs. The lyrics focus on the dark side of human nature and painful relationships. The opening number, "Nine Down One To Go", describes a painful relationship in a special way and is a fast paced song with a dreamy flow to it. The next track, "Go Away", starts off as a bass heavy driven rock song but slowly builds. I really like the way the buzzing synths are used to enhance the sound. These guys have been compared to Galaxie 500, Mazzy Star and Swell, but I don't know these bands, so I can't tell you more. If you like this type of stuff, I think you will dig this CD. Excellent material, well played, executed and varied. A very cool documentary about the recording of the CD as well as some live footage appears at the end of the CD. 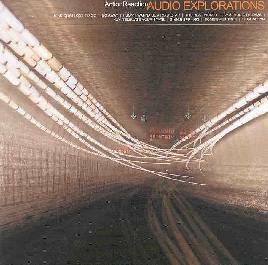 For more information you can visit the Audio Explorations web site at: http://www.audioexplorations.com. ActionReaction is distributed by Eskimo Kiss Records. You can visit their web site at: http://www.eskimokissrecords.com. Contact via snail mail c/o Eskimo Kiss Records; PO Box 3603; Wilmington, NC 28406.